An oscillating tool is a device that creates a side to side motion, and which you can fit with different blades to create different kinds of cuts, to sand down different surfaces or perform other tasks. Finding the right tool blade isn’t always easy, though, since there are a lot of options, and you want to be careful about choosing something that will get the job done as easily and efficiently as possible. Use bimetal to cut metal- Most oscillating tool blades are designed to cut wood and PVC, but according to Family Handyman, you should get bimetal blades for cutting metal. This is going to make your blades last much longer compared to trying to cut through metal with a normal oscillating blade. Look for quality products– Oscillating blades get a lot of use, and if you want yours to last, make sure it is manufactured by a quality brand and is made with quality parts. Read the reviews and find out where the blades come from before you make your purchase. Look for accessories- The best oscillating tools have a bunch of different accessories that you can use to help you get through any job efficiently. According to OscillatingGuide.com, you should be looking for those types of tools to make sure you can handle any job that comes up. To get you started on the job as soon as possible and with the least hassle, we went out to find the best quality oscillating tool blades that are currently on the market. This tool has a carbide finish and works with other oscillating tool products, even those from different brands. It is made to be versatile and compatible, so it’s a good pick if you just want a general-purpose oscillating blade and you don’t need something expensive and specifically designed for a particular tool. This is specially designed to get rid of grout that is stuck between tiles. You may need something else if you plan to cut through solid surfaces. 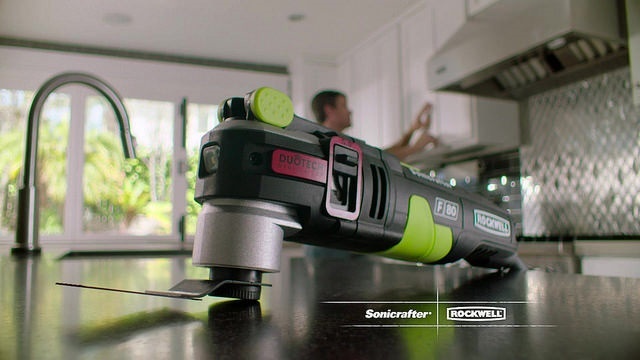 Be sure to get the right tool blade for each job, and grout removal is this one’s specialty. 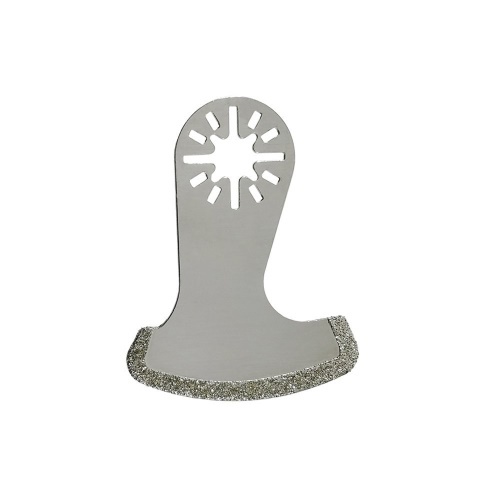 If you want to scrape or grind masonry, then you need to use the tool that is made for the job, and that’s exactly what this blade made by Rockwell is designed for. Like some of the best oscillating tool blades, this one fits just about any oscillating tool out there, even the ones that are made by other manufacturers. 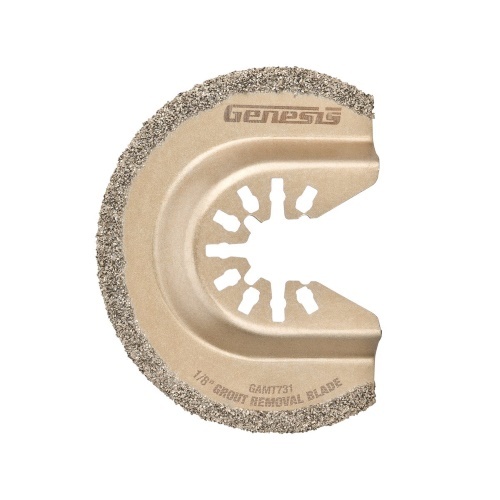 You should be aware that this is an aggressive tool, which means that it grinds fast and fierce, so you can use it on masonry and get a great finish, but if you use it on drywall, it may tear through it. Once again, it is important to choose the right tool for each task. The best thing about this particular blade is that it should last you for a very long time. It takes an incredibly long time for it to wear out, so it is easily worth your money. This blade is designed for cutting a variety of materials. In particular, it cuts through masonry, mortar and brick, and you can use it to get mortar out from between tiles. It can’t be used for porcelain tiles, though, as it will destroy them. You’ll need a different kind of blade for that. It will work with universal arbors, and it is built to be long lasting. The price is also very low relative to how durable and effective the blade is. Usually, when you pay this little for an oscillating blade, you get something that falls apart or wears down quickly, but this works very well for a long time. You do have to be careful about how much heat you expose it to and how long you allow it to run without letting it cool down, as overheating can destroy even the best of blades. 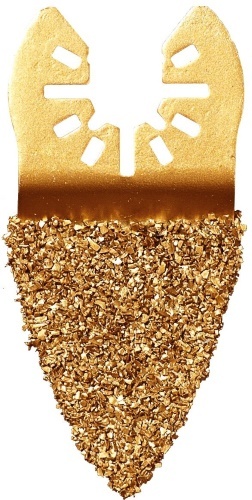 This is a very adaptable sanding blade that will work with most major brands. The price is low, but it can wear out fast, so you want to be careful about letting it overheat and using it for extended periods of time without allowing it to cool down. Its unique design makes it perfect for sanding corners and for getting into those places that are hard to reach. You can use it on any wood surface, but you do need to be careful about applying too much pressure on any one side. It is designed for extended use and won’t deform as easy as some of the other competing blades, but it still needs to be treated with care if you expect it to last for any length of time. This is another inexpensive blade for your oscillating tool, and that price point can mean that it wears out fast, but it all depends on how you use it. You can actually get a lot of use out of this, but you just have to be careful about the amount of pressure you are applying and how long you use it without letting it get a break. 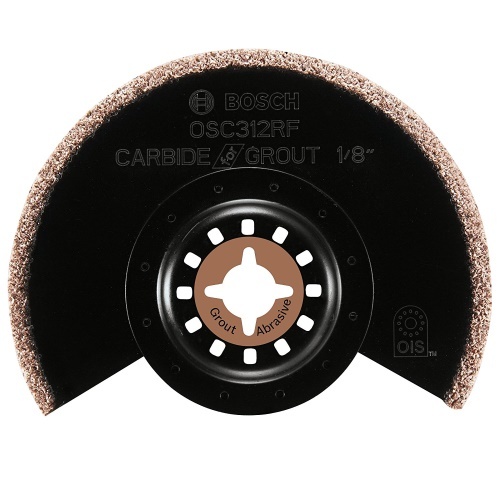 You would generally use this for grinding or sanding and removing grout from between tiles. Make sure you choose the right blade for each task, as using the wrong blade can cause it to not do the job properly or to be destroyed quickly. 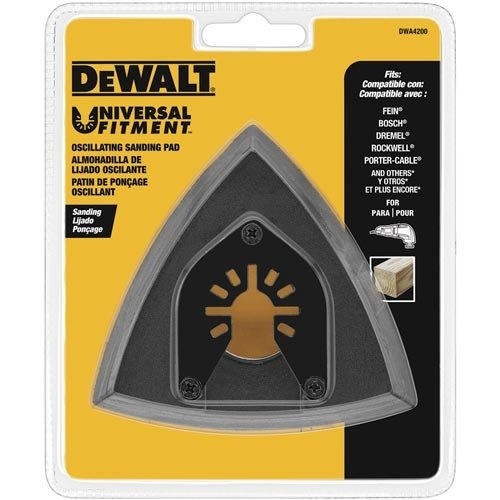 This versatile tool blade is designed to fit most tool-free and oscillating tools. If it doesn’t fit easily, you may need to cut off a small piece of it, but it should fit most oscillating tools without any problem. Now that you have seen our picks, hopefully you are ready to make an informed choice as to which blade to go with. As RonHazelton.com reminds DIYers, it is important to know what kind of cut you want to make and what material you are going to cut before you choose an oscillating tool blade. You also want to make sure that you choose one that is compatible with the type of tool you have. Once you do that, you’ll be ready to choose which one of the blades you should buy. Even though we haven’t covered every possible type of blade out there, that doesn’t mean that other good quality products don’t exist. Factoring budget, quality and possible applications, as well as positive review and customer reports, led us to the above list. There are many quality tools that can be used for a variety of different jobs, and the above list can serve as reference to the average DIYer or for routine maintenance jobs around the house.